Roland's GR-55 GK Guitar Synthesizer is a revolutionary new product combining PCM synthesis with digital instrument modeling derived from the respected VG-99 V-Guitar System. 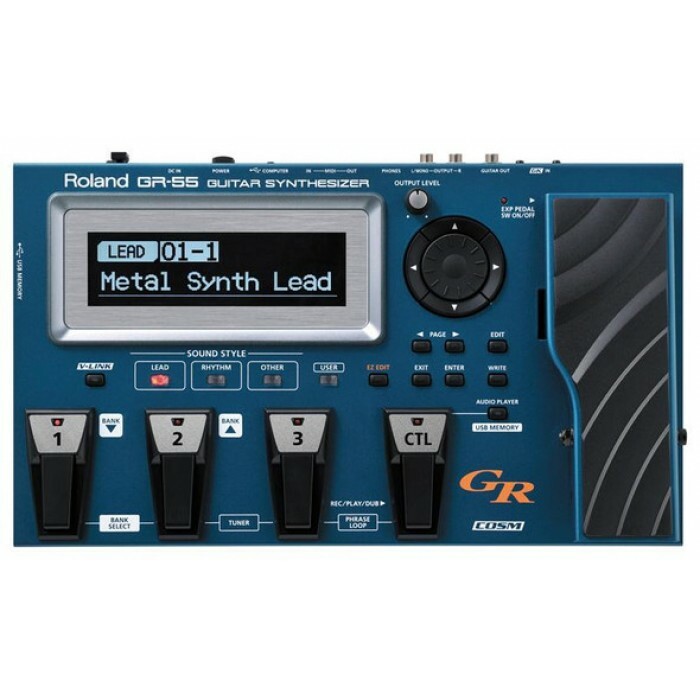 The GR-55 represents Roland's latest breakthrough advances in guitar synthesis, offering playability, features, and sound quality that far surpasses the capabilities of previous generations of guitar synthesizers. Driven by Roland's newest proprietary digital processing technology, the GR-55 delivers lightning-fast tracking performance and previously impossible sound-making capabilities. It features two independent synthesizer sound engines, each loaded with over 900 of Roland's latest sounds, including pianos, organs, strings, vintage and modern synths, percussion, and many more. 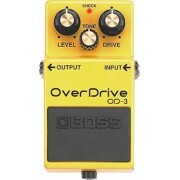 A third sound engine is driven by Composite Object Sound Modeling (COSM®), the guitar modeling technology behind Roland's famous VG-99 V-Guitar System. With COSM, the GR-55 can emulate electric and acoustic guitars, basses, and other instruments, as well as guitar and bass amplifiers. 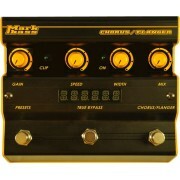 The GR-55 allows players to combine all three sound engines, plus their guitar's normal input, to create any sound from the familiar to the original. 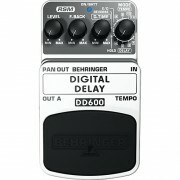 An independent multi-effects processor is available for a huge array of tone-shaping options, plus global reverb, chorus, delay effects and EQ to add final sweetening to any sound. The GR-55 also features a USB song player that lets users play WAV files stored on USB flash memory, and song playback can be controlled with the onboard pedals. 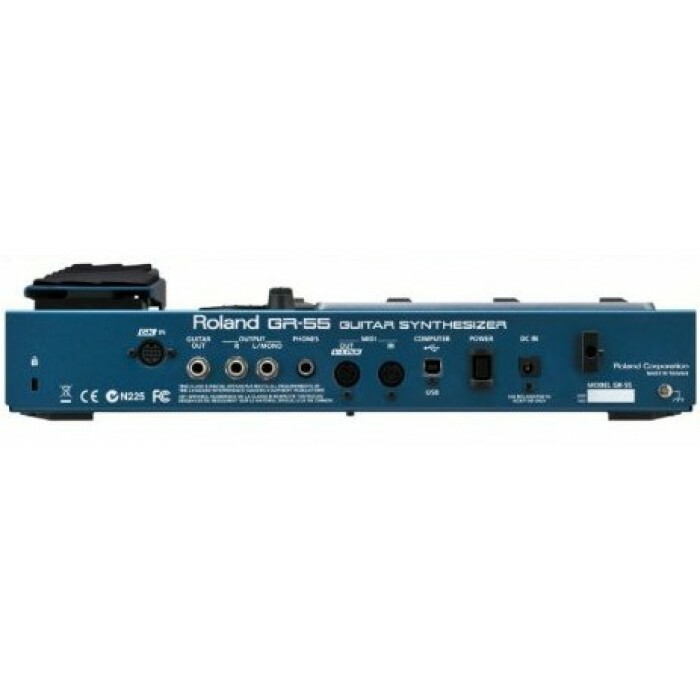 The GR-55 also functions as an audio/MIDI interface for computers, with a rear-panel USB 2.0 port for a quick and easy connection. 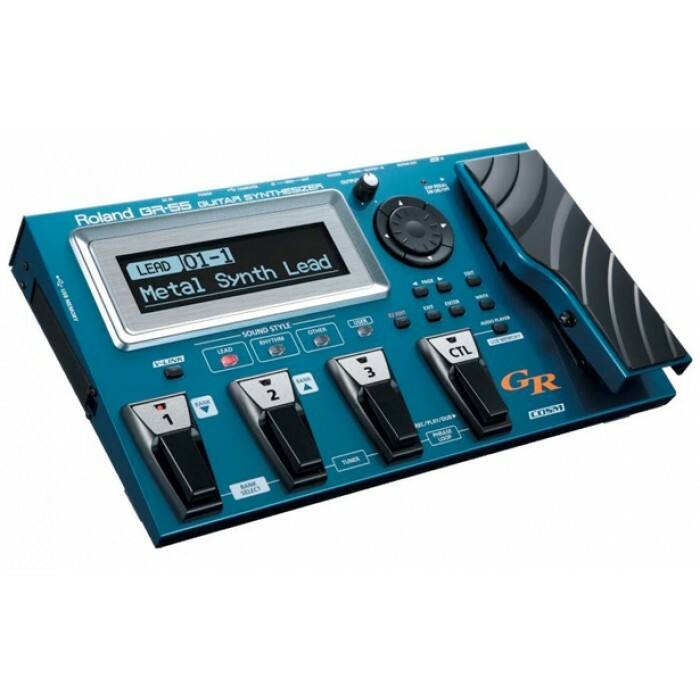 Users can easily integrate with their favorite digital audio workstation software, recording GR-55 sounds as audio in the DAW and using the GR-55's super-fast pitch-to-MIDI capabilities to trigger MIDI sounds such as virtual synths and samplers with their guitar. 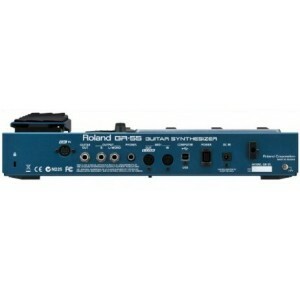 The GR-55 is equipped with Roland's industry-standard 13-pin GK interface. 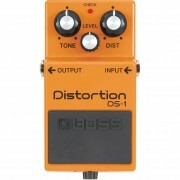 To access the GR-55's enormous palette of sounds, guitarists must use an instrument equipped with a GK-compatible pickup such as Roland's GK-3 Divided Pickup, which is available with the GR-55 (see dropdown menu to the right and select the "With Pickup" option).The GK-3 can be easily installed on most steel string guitars with no modification to the instrument. 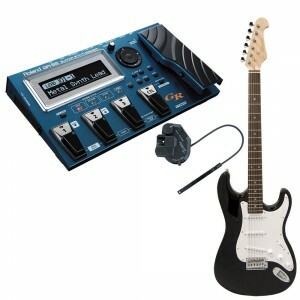 In addition, many different GK-ready instruments are commercially available from various top guitar manufacturers.